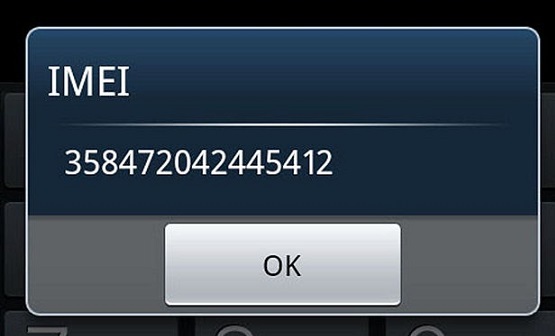 IMEI, short for International Mobile Equipment Identity, is a 15-digit number for cell phones. Each mobile device has a unique IMEI number assigned by GSM association. It has nothing to do with your service provider such as Sprint, AT&T, Verizon Wireless or T-mobile. To check your mobile phone’s IMEI number, just type *#06# on the main screen and you will see it. Always keep it in a safe place, because each IMEI number is unique, you can use it to block or locate your stolen handset. If you wanna learn how to change the IMEI number on your handset, then check this out. http://www.trackimei.com/ can help you locate your handset using the IMEI number, the process is simple, you just register with them and submit your IMEI number. Once their dealers find any mobile device having your IMEI number, and they will contact you. There are still a few things you can do with IMEI number too. If you happen to lose your mobile device, report your IMEI number to your carrier and ask them to track down your mobile device. When the thief switch your handset on with any SIM card, it will search for networks and send the SIM and mobile information to the nearest cell towers/base stations, that’s how the service providers pinpoint a cell phone’s location using the IMEI number. Even if your service provider refuses to track your handset, you can still ask them to block your mobile device. By doing so your cell phone’s IMEI number will be blacklisted and blocked connecting to the networks regardless of the service provider. In other words, it can not be used to make calls or send SMS etc any longer. Although you can ask your mobile operator to blacklist and block your handset, the chance for you to get it back is very thin. If you really mean it, install some mobile tracing apps on your mobile. Once you misplace or lose your handset, you may find it easily. We briefed some of the best free cell phone tracking software, you may want to check them out. There are already a few people found their mobile device by using the mobile tracing apps, find who and how.